We are very pleased to offer Carrollwood Day School families online access to high quality photos. 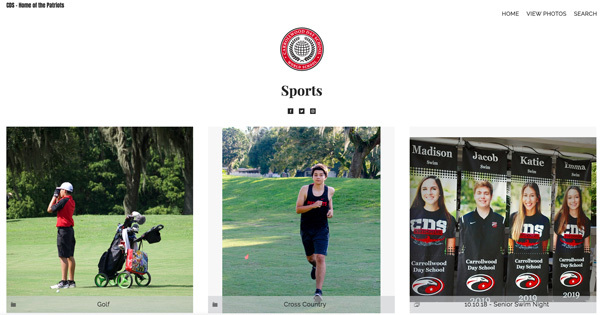 This is a secure, private website where CDS families can view and download high resolution images of CDS athletes, athletic events, and select school activities. Parents will be able to see, share, or order photos from this gallery. This password protected site is for the exclusive use of CDS families. We ask that you respect the privacy of other CDS families and only download pictures with your children. Please do not post to social media any downloaded photos that contain children other than your own. Please contact Nicki Ragan if you have any questions about use of this website.